Our love affair with brows is still strong, and we have some expert tips to get yours in ship shape. A beautiful set of brows is on everyone’s wish list right now, and in 2015 the bold and defined look is sticking around. For those of you with naturally strong, bushy brows, this may be music to your ears (who wants to spend every morning tweezing anyway?). But for those of you lacking in the brow department, it may seem uninspiring. 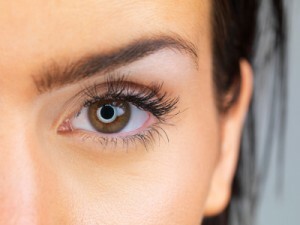 Unfortunately, not everyone is blessed with beautiful brows, and everyday hazards such as over-plucking and illness can cause brow hair to fall out and become sparse. If you haven’t got thick brows naturally, you will know how tricky it can be to define and plump without overloading them with too much pencil. To give your brows expert definition, we recommend the Delilah Brow Line Retractable Eyebrow Pencil with Brush (£20). This pencil gives very soft, ultra-fine strokes of colour on the brow – creating a beautifully natural look. Did you know you can actually help your brows to grow? RevitaLash Hi-Def Tinted Brow Gel (£25) is designed to encourage hair growth, but is also tinted to make brows look instantly thicker as soon as you apply. The mascara-like tool is easy to use and helps to tame any unruly hairs. The conditioning gel is water resistant and will last all day. Stick to waterproof products such as MAC Pro Longwear Waterproof Brow Set (£13.50), which will stay put whatever the weather. This product comes in a range of natural hair colour shades and the non-greasy formula sets hairs softly while providing a natural sheen. Using a wax brow tool can also help. L’Oreal Paris Brow Artiste Genius Kit (£9.99) comes with a mini wax palette and brush to help you shape, set and style with ease. The pigmented wax holds for up to 12 hours and the power allows you to build layer upon layer. Too Faced Brow Envy (£35) is the kit everyone needs in their make-up bag. It may be a bit pricey, but this versatile set is packed with all the brow tools you need to achieve beautiful brows. It features blonde and brunette shades, a setting wax, a highlighter, a brush, comb and mini gold tweezers. There is also a selection of three eyebrow cut out shapes to help you pluck and define with precision. Eyebrow tinting is a great way to give your brows extra definition and boost volume. Find a beauty therapist near you to book an appointment today.